Before you read on please be advised that this tactic is only to be used in training FACU / FACP applications. It is not the intention of Fire Alarms Online to provide this information to eliminate the need for battery backup on a FACU Fire Alarm Control unit, MNS Mass Notification System, RPS Remote Power Supply, etc. FACP is Normal without Batteries WOW! There is a way to connect an FACU Fire Alarm Control Unit without backup batteries and have it remain in the normal condition. Now like I mentioned above, this is typically only used if you have a training and or demonstration FACU that you travel with. You can also use this trick if you have a redundant FACU in your shop used for training (only if the system is not an approved life safety system for the site). The backup battery charger on an FACP, FACU, MNS, RPS, etc. is always looking for 24VDC. This is how it supervises the backup batteries. In other words, this is how the fire alarm control unit knows that backup batteries are present. The same terminals on the charger, also put out 24VDC in order to constantly charge the backup batteries so that they are always ready in the event of primary power loss. Most jurisdictions require 24 hours of standby and 5 minutes of alarm for a horn/strobe system and 24 hours of standby and 15 minutes of alarm for a voice system. 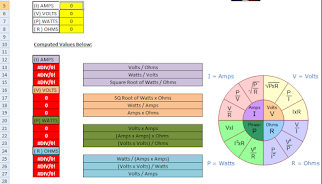 See here for battery backup calculations. With the use of one simple diode, you can accomplish this feat. Simply place the Anode (+ Solid Black) side of the diode into the non-resetable positive 24VDC power output on the FACU / FACP. Now place the Cathode (- Stripe) side of the diode into the positive terminal of the backup battery charger. How this works: Think of a diode as a one way gate. Electrical current can flow through it in only one direction. So this trick is actually quite simple. 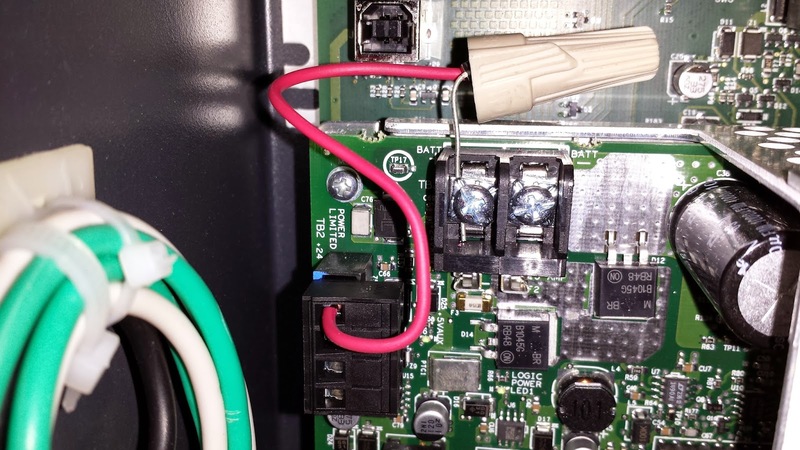 The diode is providing a positive current path from the +24VDC output on the panel FACU / FACP and into the + terminal of the battery charger thus tricking it into believing there are backup batteries in place. The reason for the diode is very important. You need to remember that the battery charger puts out 24VDC as well. With that said, we need to block that power from coming back into the +24VDC output on the FACP / FACU. Here is a picture to help explain this trick on how to keep an FACP / FACU in the normal condition without backup batteries.